Should my homeschool co-op be giving any tax forms to our teachers? I had someone ask if our homeschool co-op will send them a 1099 for payment we made to her this year. To the best of my knowledge, we have never done this before. Is this something we should be doing? Is there a guideline for how and when to do this? If you paid an individual more than $600 for their services in a calendar year, you are supposed to give them a Form 1099-MISC and a copy goes to the IRS. You do not have to provide 1099-MISCs to corporations or for goods you purchased or for reimbursements of expenses.You only give 1099-MISC to individuals who you paid for hired work. It’s a good practice to collect the legal name, address and SSN from every person you pay for their services before paying them. Use IRS Form W-9. I use a service Yearli.com to prepare the Form 1099-MISC. They charge about $5/form, mail a copy to the recipient and to the IRS. It’s very easy to use. 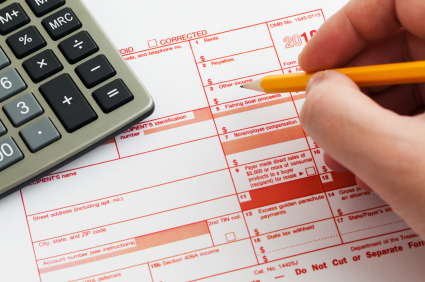 The 1099MISC is due to the recipient and the IRS by January 31 each year. My new book Paying Workers in a Homeschool Organization can help you understand all the rules and tax forms for independent contractors. Paying workers? There are forms to file with the IRS. Paying teachers in a homeschool co-op is a sticky situation! What tax forms do I file for a homeschool co-op?